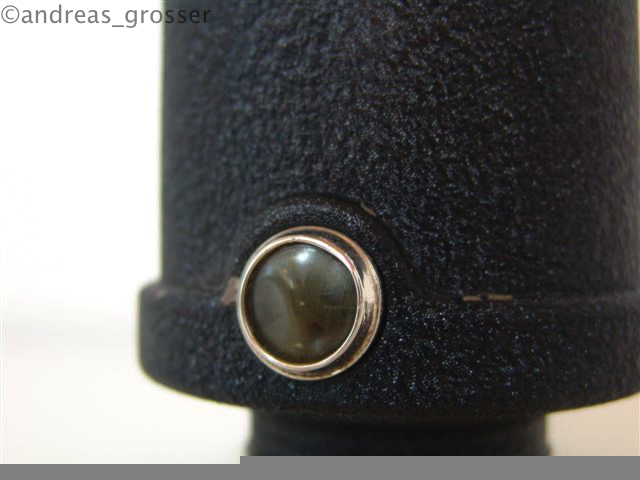 This is exceptional Andreas work on Neumann CMV 3. 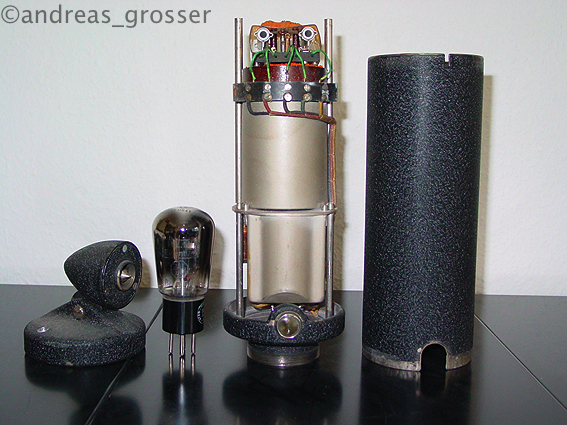 The CMV designation as to “Condensator Mikrofon Verstärker” (condenser microphone amplifier) and the number three probably indicates that two earlier prototype versions existed. 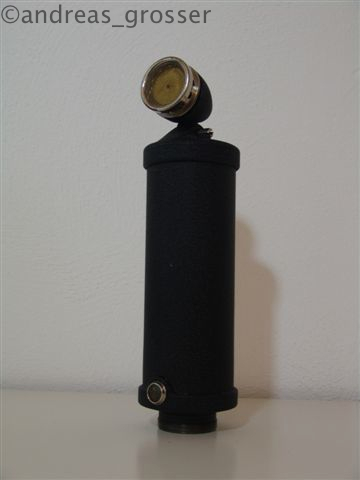 “Bottle mic,” the CMV3 had an omnidirectional M1 capsule with large, gold-sputtered colloidan (later switched to PVC) diaphragms with RE084 triode-based tube electronics. Neumann with Erich Rickmann, founded Georg Neumann & Co. in Berlin in November 1928. 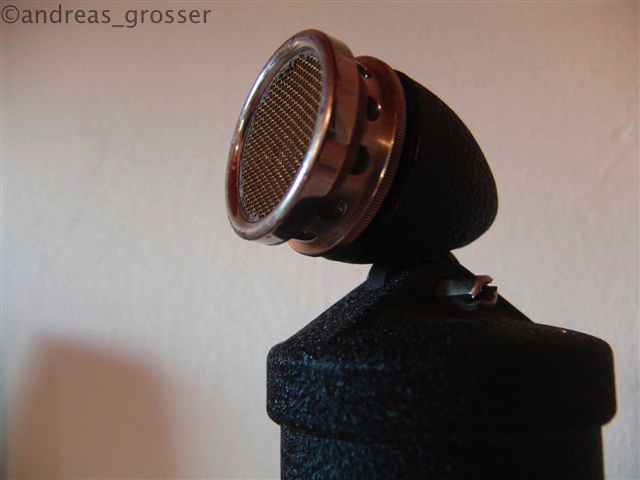 This year also Neumann released the CMV3—the first produced condenser mic.